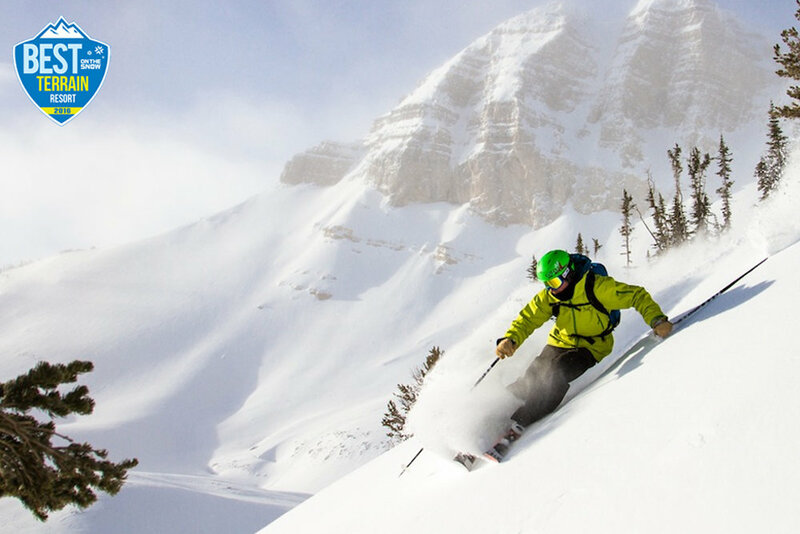 Browse through our collection of photography from Jackson Hole to get acquainted with it before your ski trip or to relive great memories on the slopes at Jackson Hole. 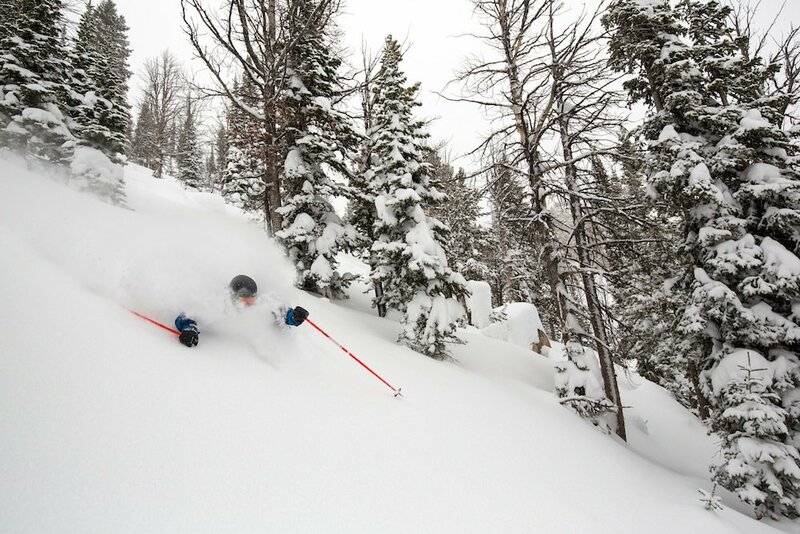 Jackson Hole - 8” of fresh powder last night. 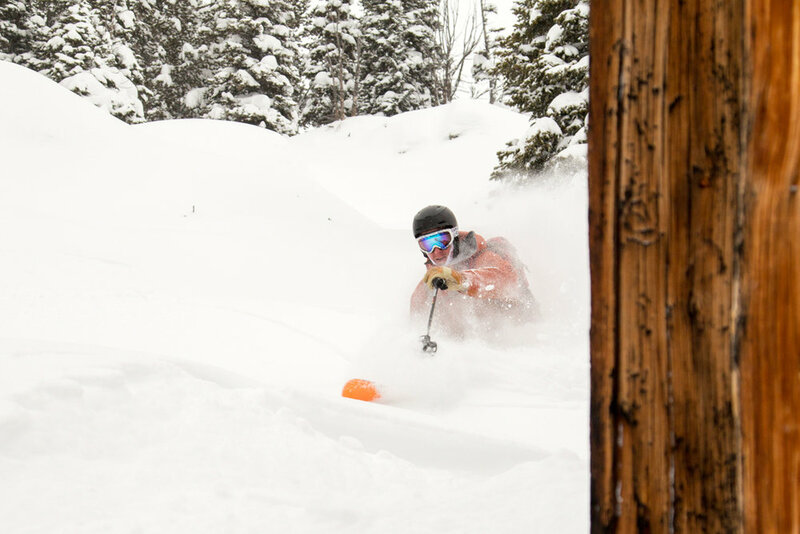 And still packing on more snow. 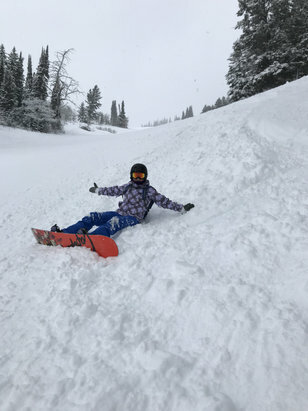 Great conditions today! 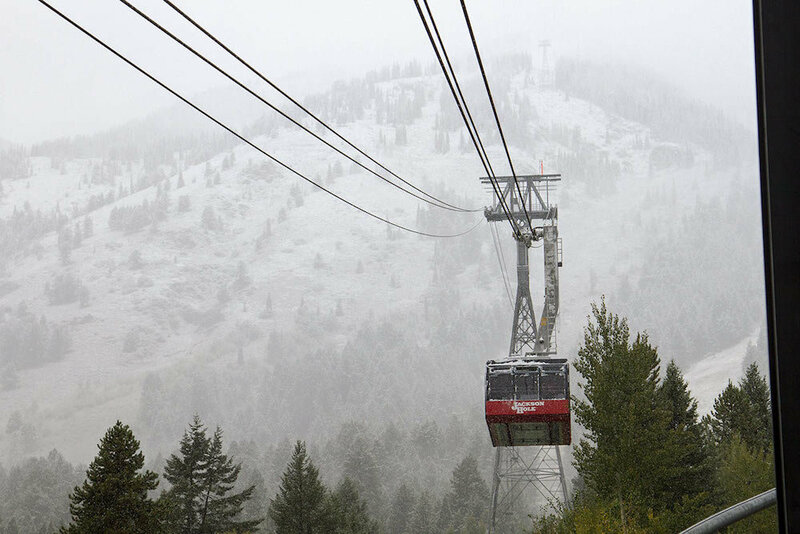 Jackson Hole welcoming in the first snow of the winter. 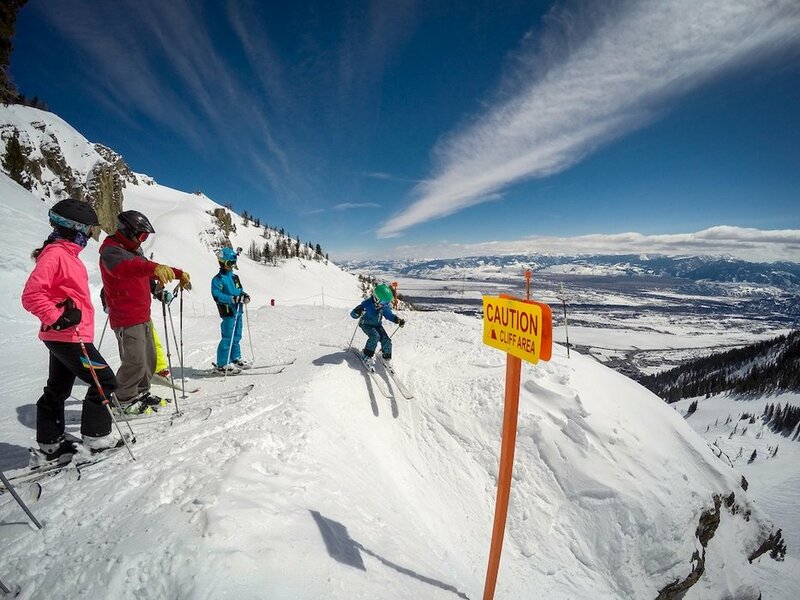 Deep thoughts at Jackson Hole. 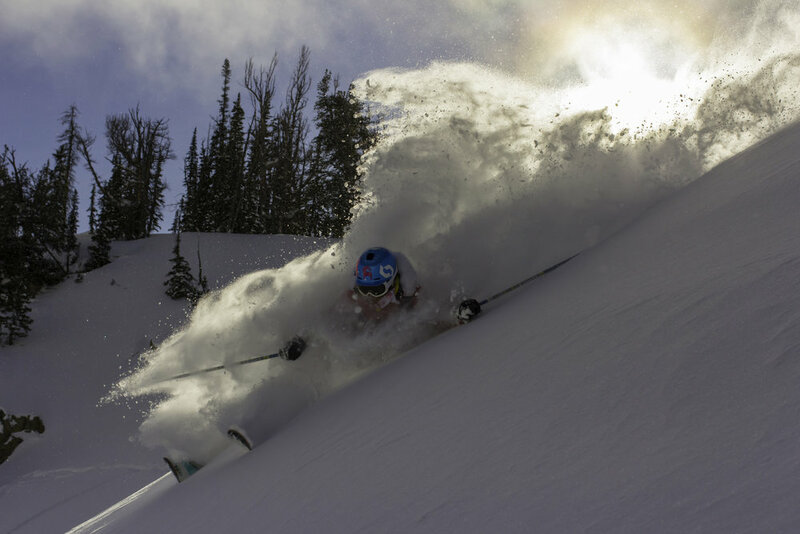 JH skiers take their spring turns seriously. 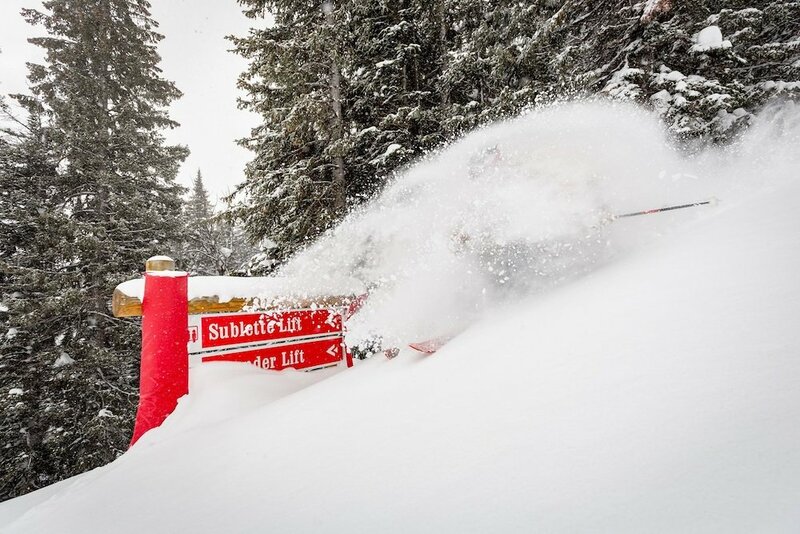 DJ digging the Expert Chutes. 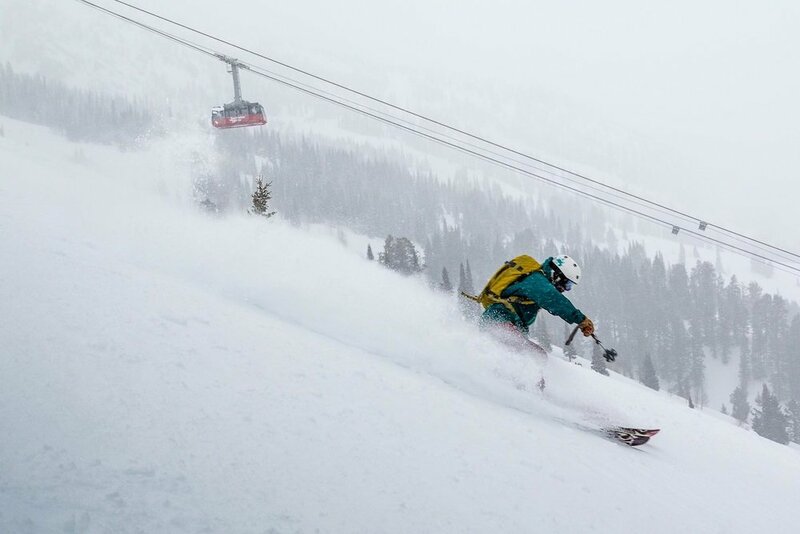 Kim making effortless floating turns under the tram. 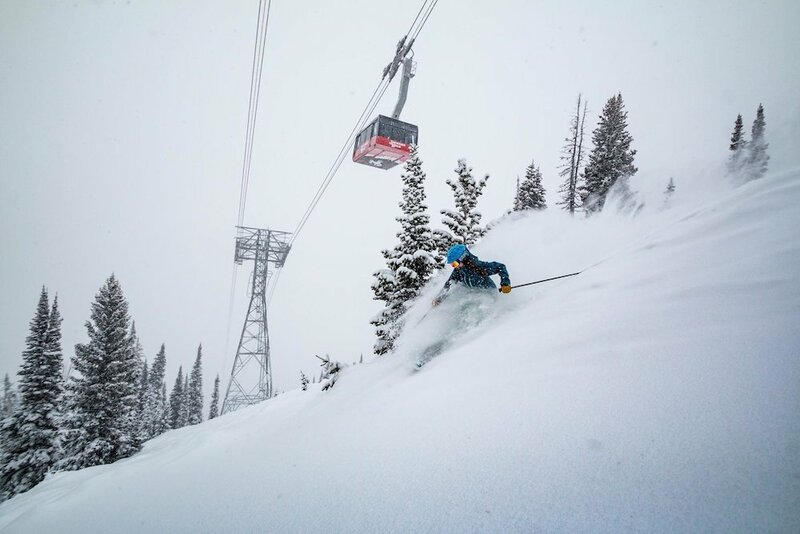 The top of the Bridger Gondola was some amazing skiing. 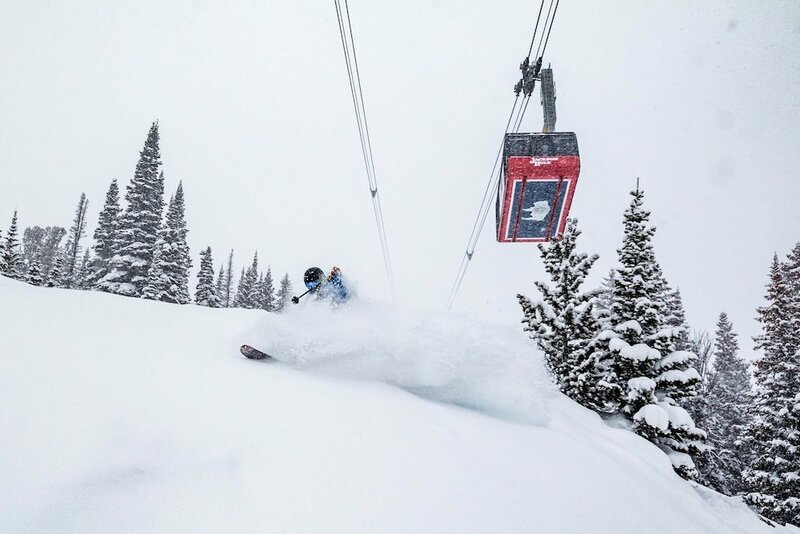 DJ getting barreled off of Teton Lift. 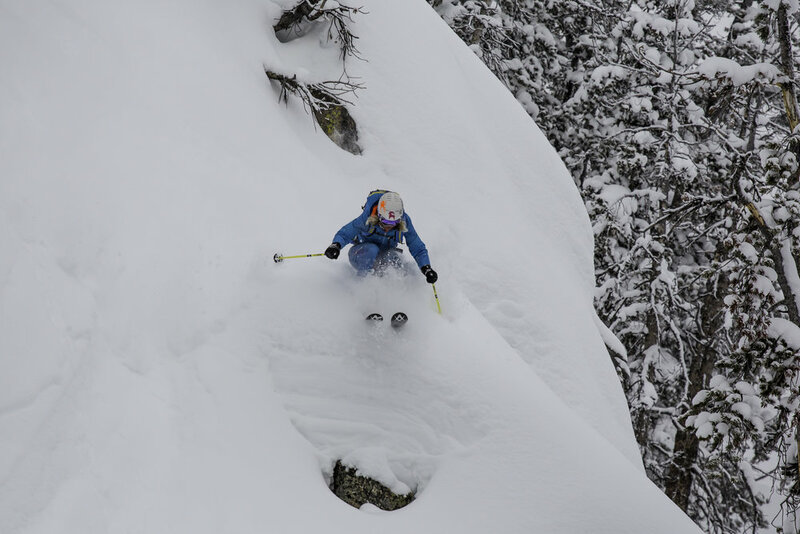 Bobby finding the sweet spot in Bivouac trees. 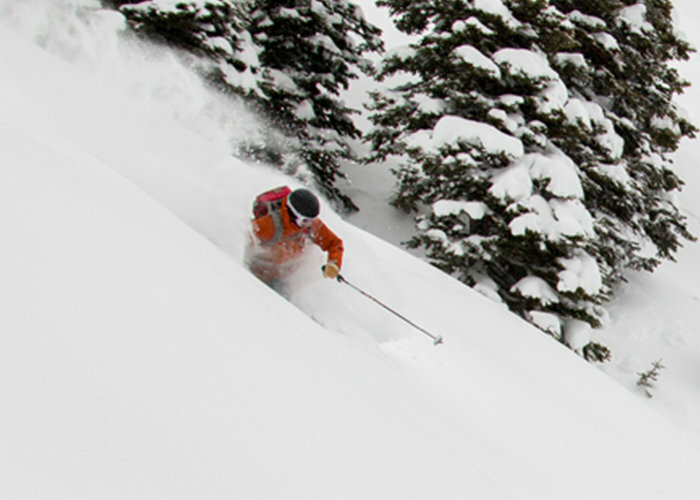 Ilka finding powder all the way to the lower mountain. 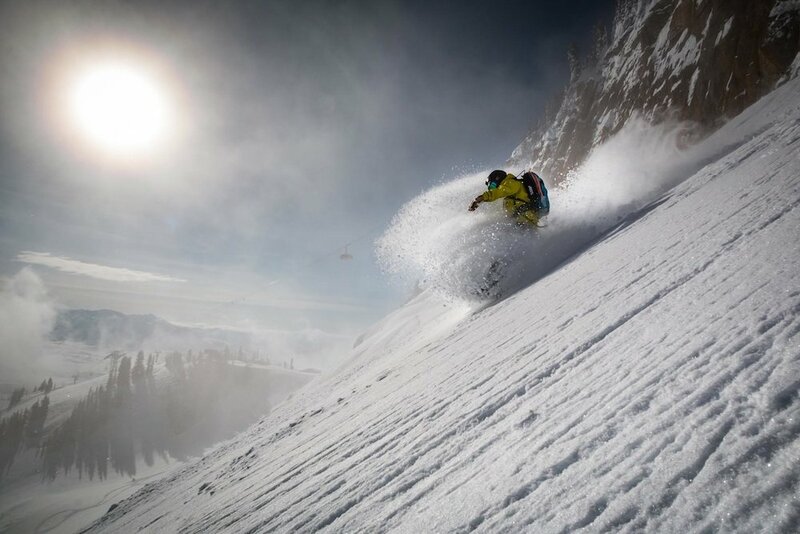 Deep thoughts at Jackson Hole Mountain Resort. 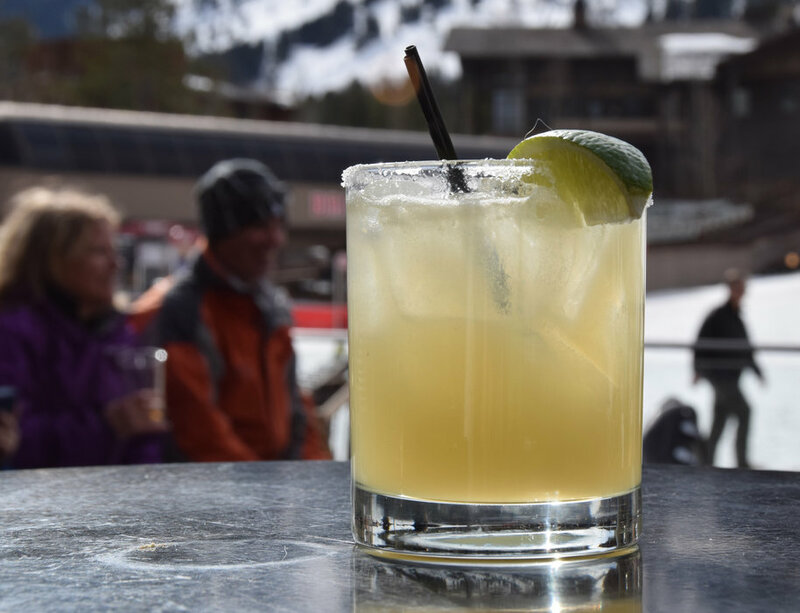 For apres, The Handle Bar at Four Seasons serves up whiskey and cocktails on the outdoor patio with views of the slopes. 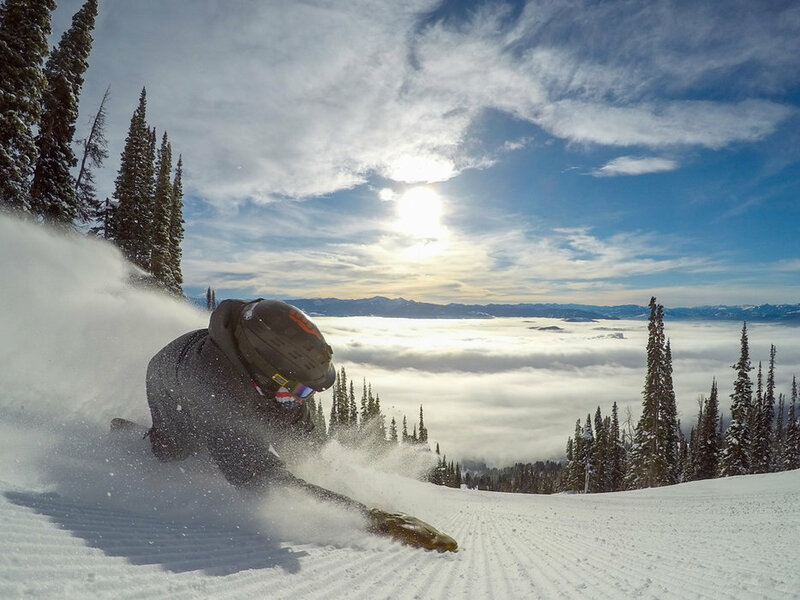 Nirvana isn't just a band, it's a state of mind in JH. 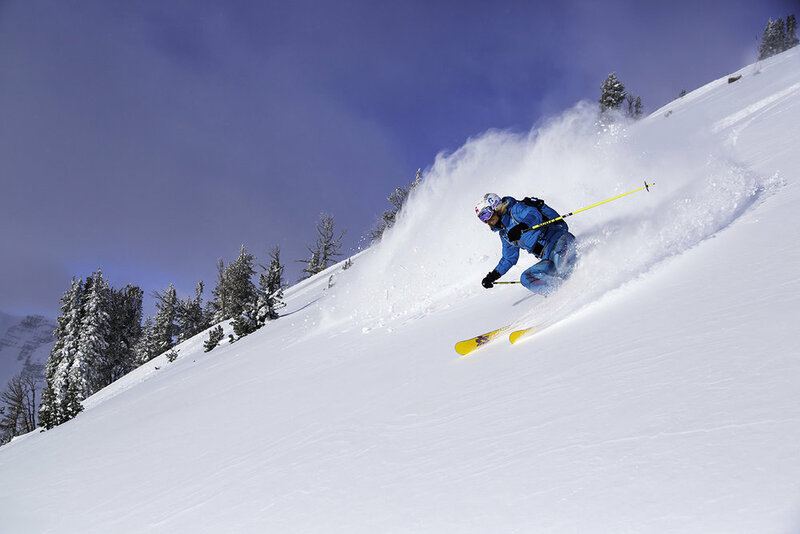 It's easy to make waves when you ski in Jackson. 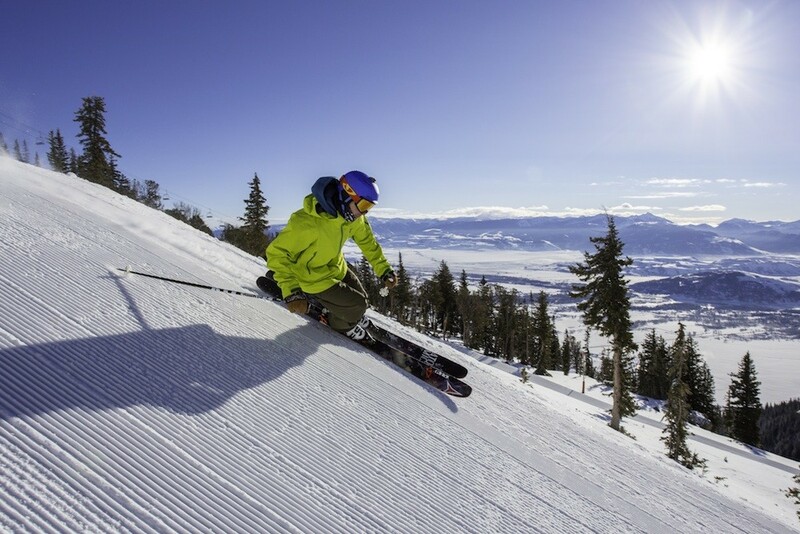 "Go ahead son, I'll make sure it's safe from up here." 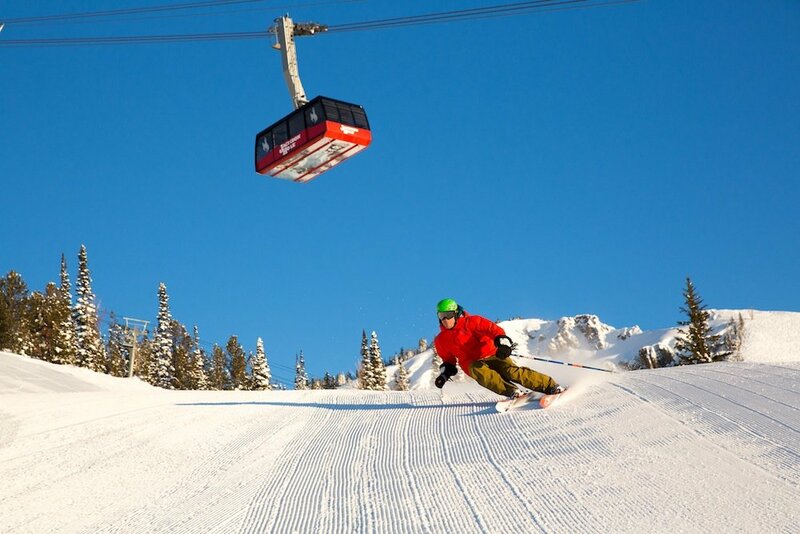 Lord of the groomers taking a leisurely lap. 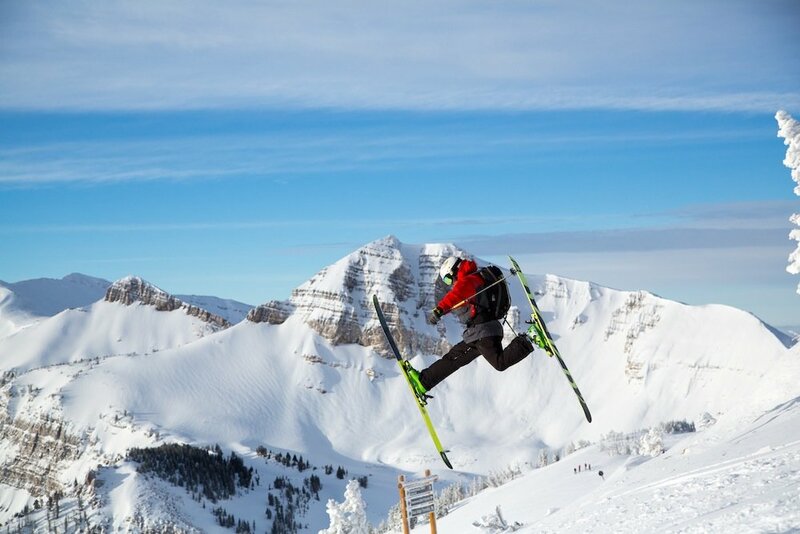 Hang time in Jackson Hole. 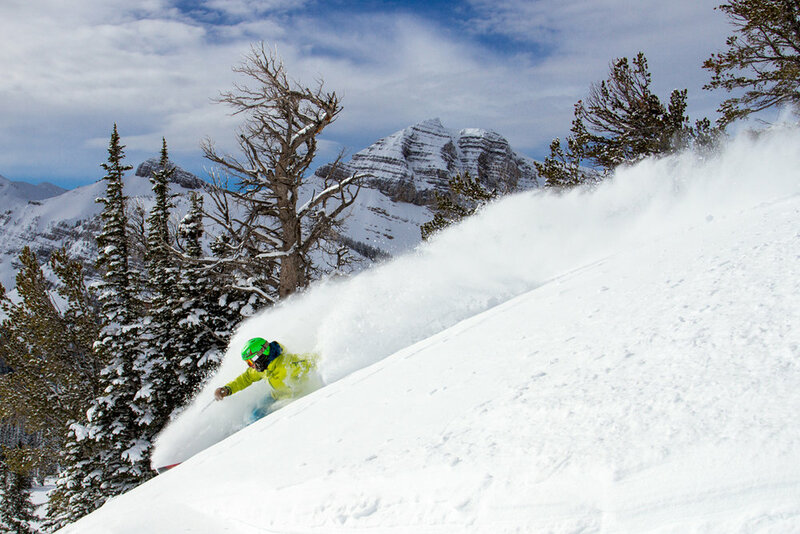 Center stage at Jackson Hole. 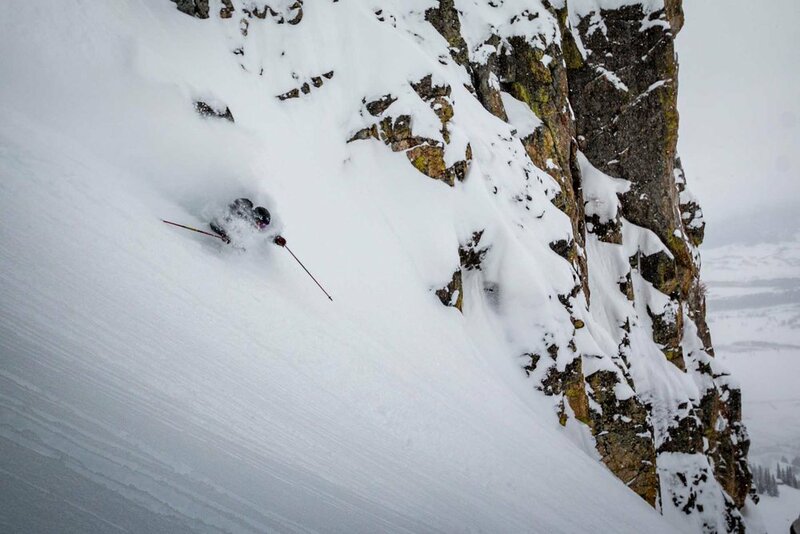 Digging deeper at Jackson Hole. 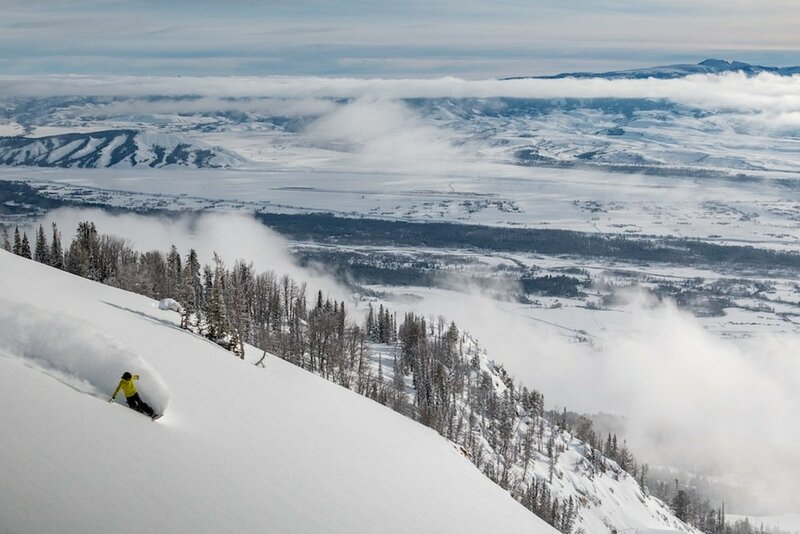 The endless views match the terrain at Jackson Hole. 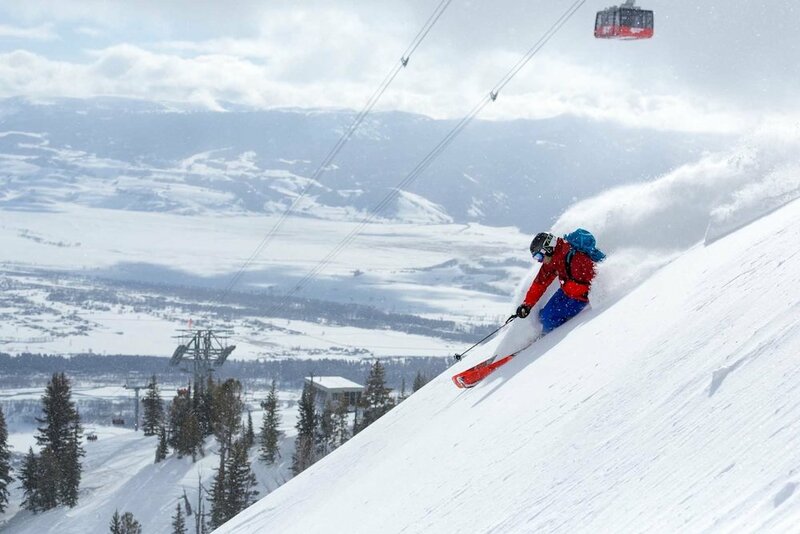 Hot laps at Jackson Hole. 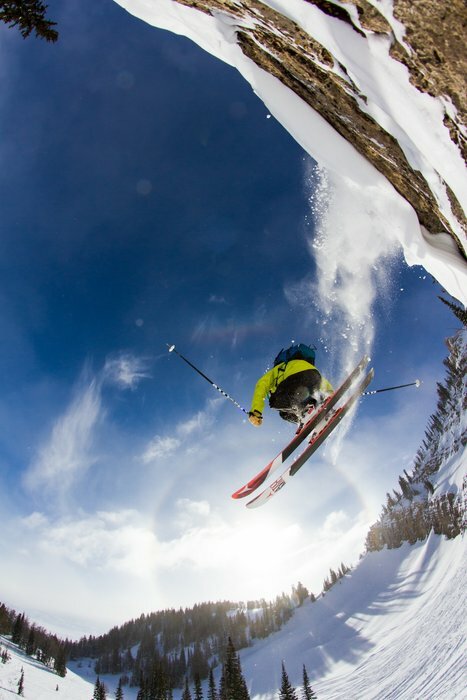 Happy thoughts from Jackson Hole. 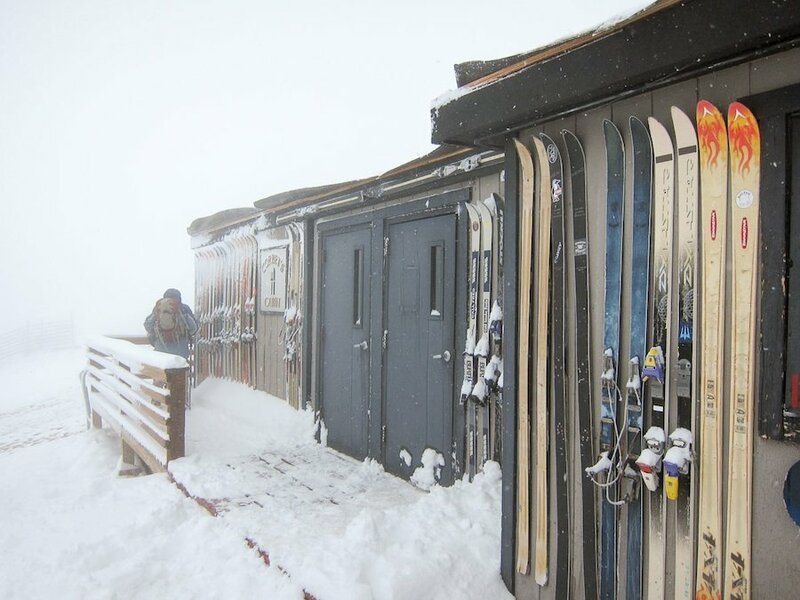 Jackson Hole Mountain Resort has started to grow its winter coat. 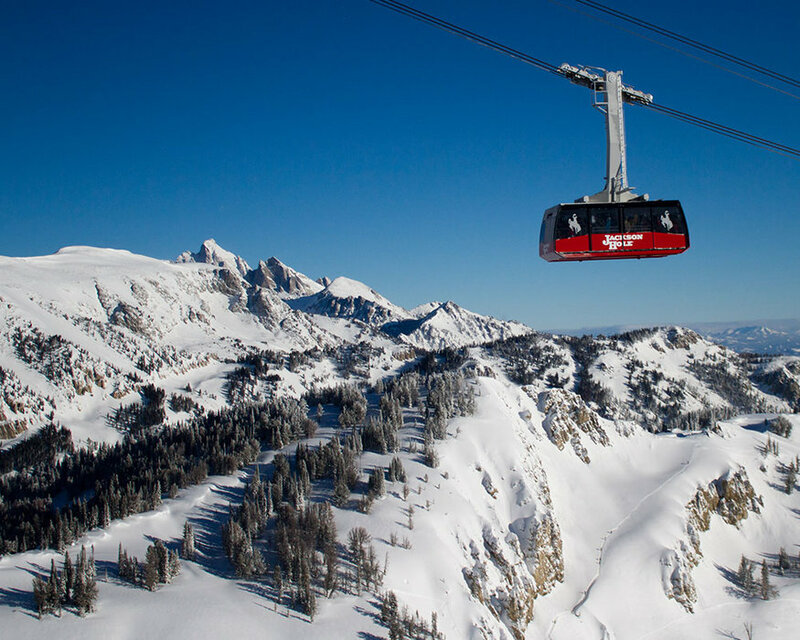 Tram and Teton views at Jackson Hole Mountain Resort. 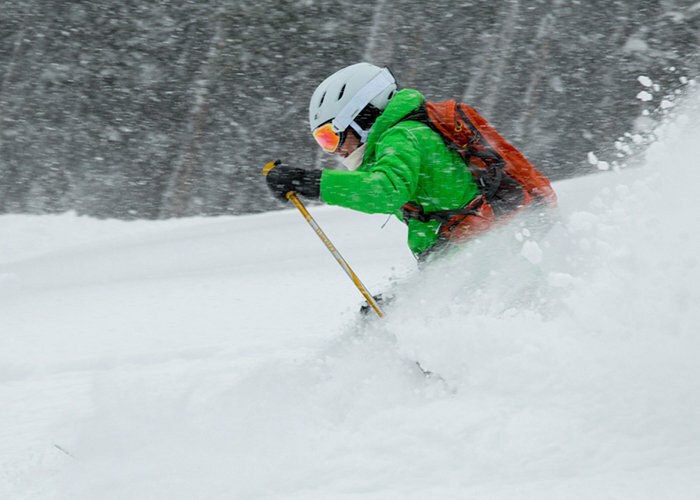 Are you ready for 31 days of fun at JH? 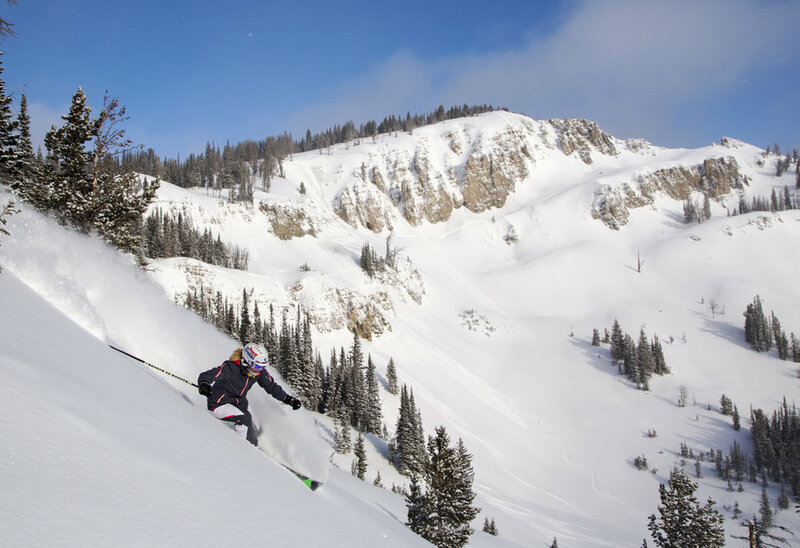 Great skiing, free live music, and events galore; all within a month of non-stop excitement at Jackson Hole. 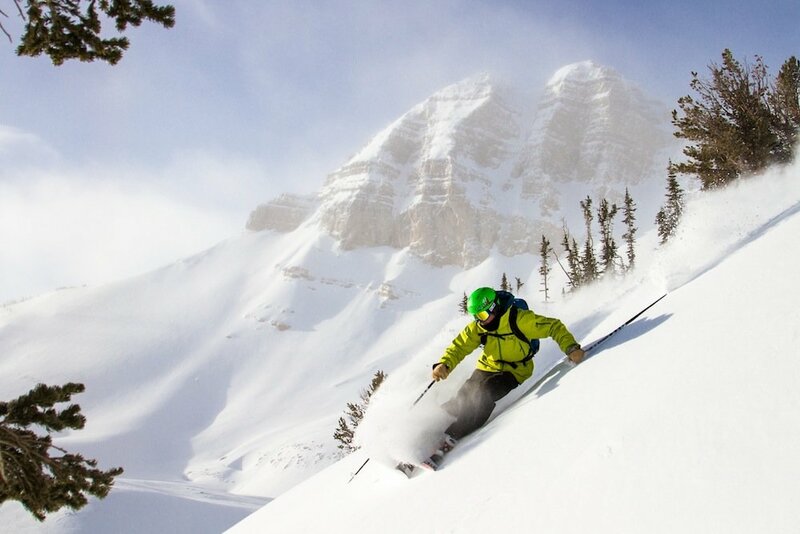 Save $200 on Jackson Hole airfare per person. 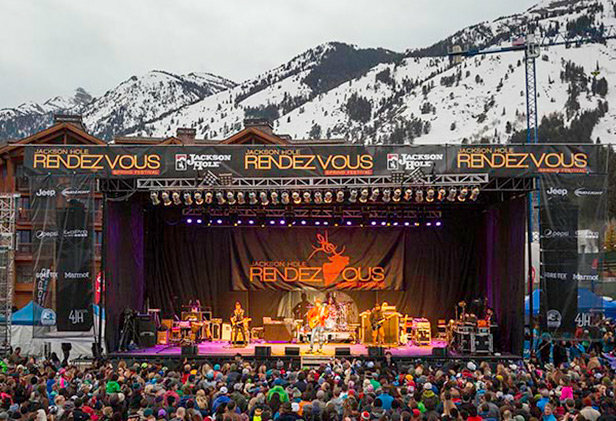 March Radness™: 31 days + 31 Bands! 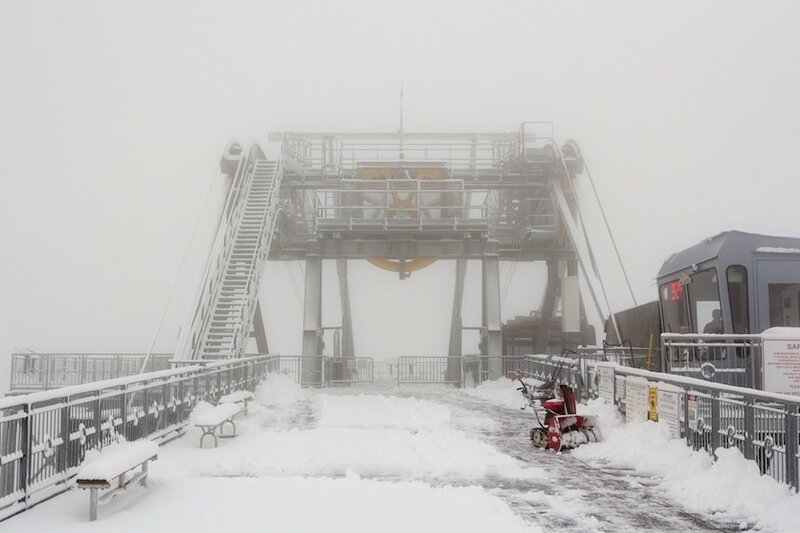 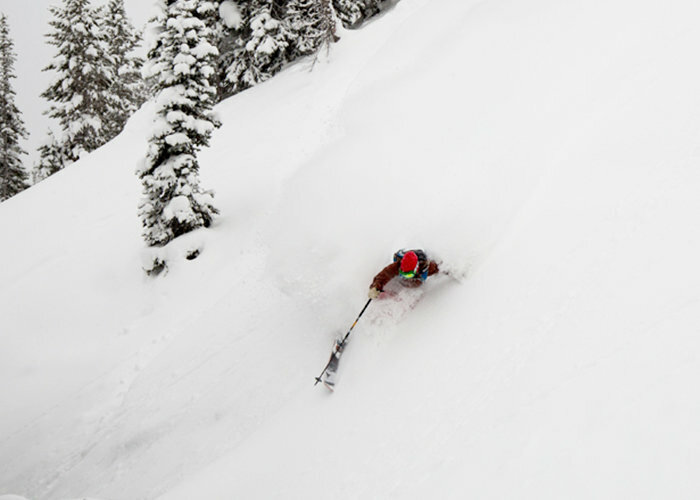 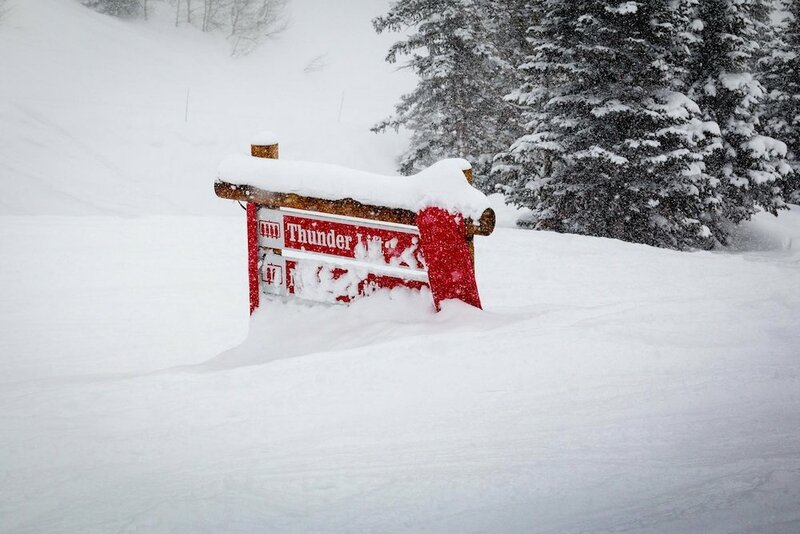 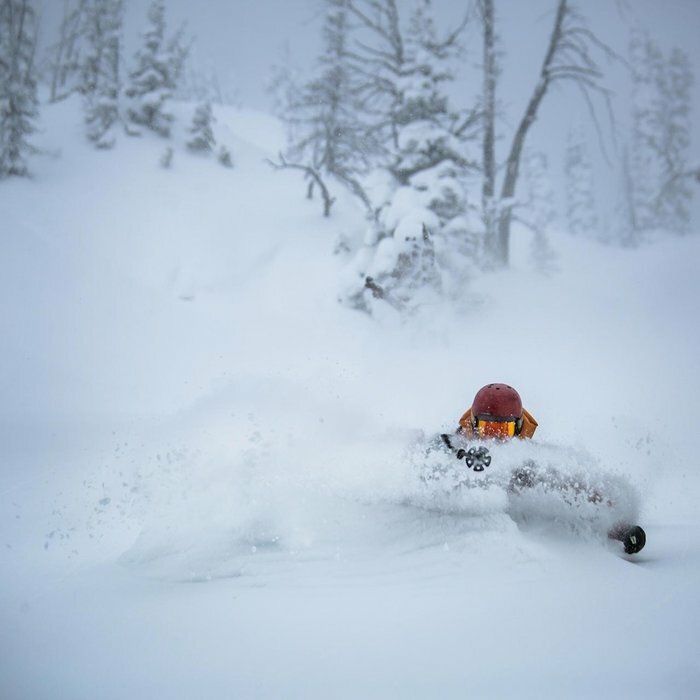 The snow is no joke at Jackson Hole this season. 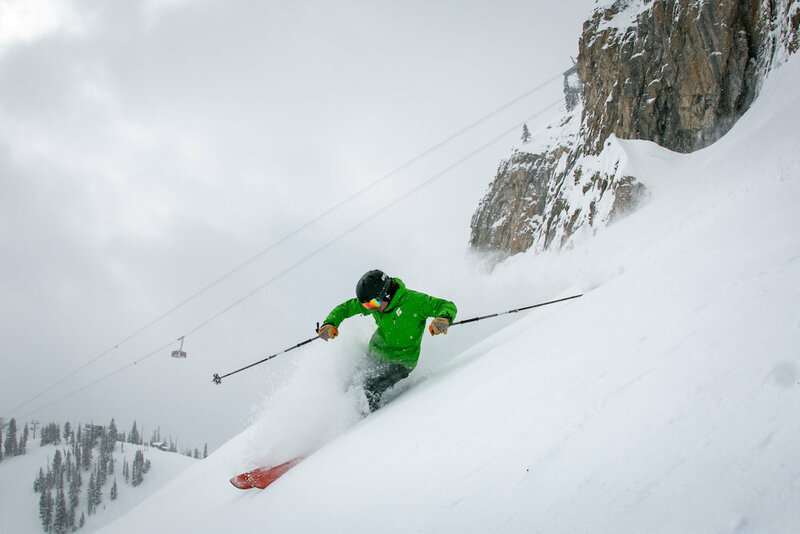 Jackson Hole is welcoming all skiers and snowboarders who own a winter resort season pass ANYWHERE in the world to come and receive a very special rate. 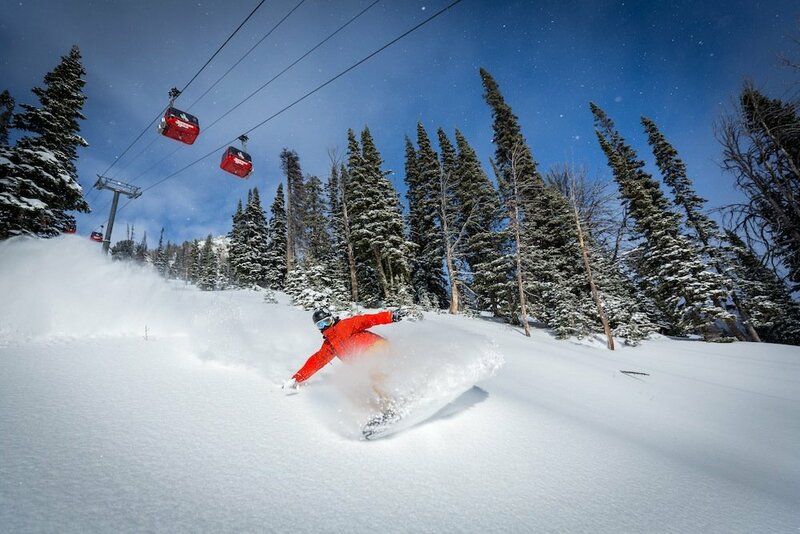 Travel to Jackson by JANUARY 31, 2016, show your season pass from any ski resort worldwide and receive a 50% discounted lift ticket based on the valid in-resort, single day rate. 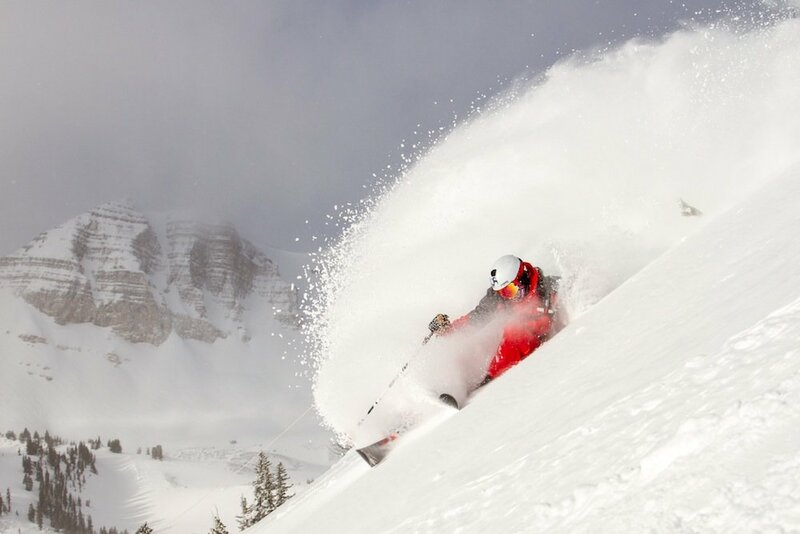 Sinking into powder over MLK weekend at Jackson Hole. 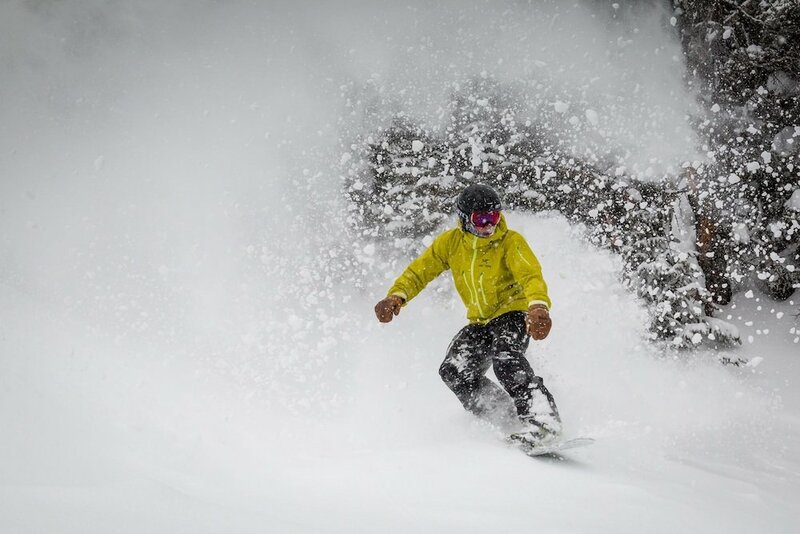 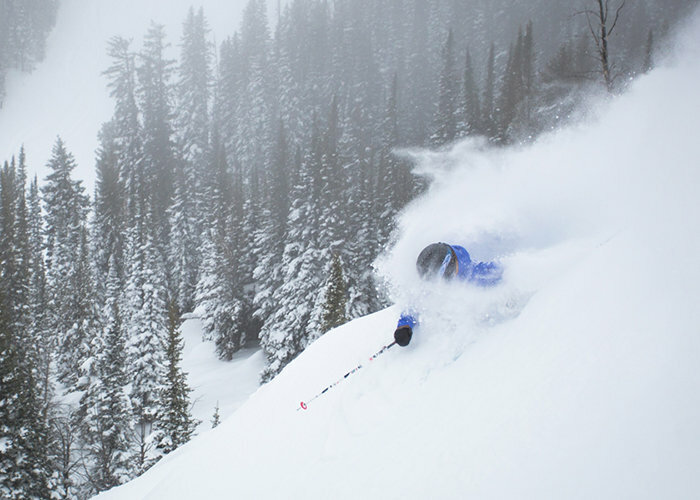 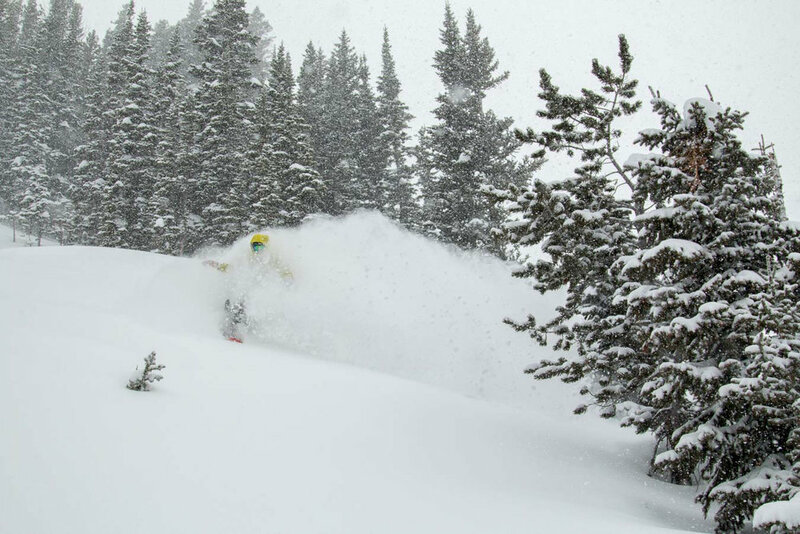 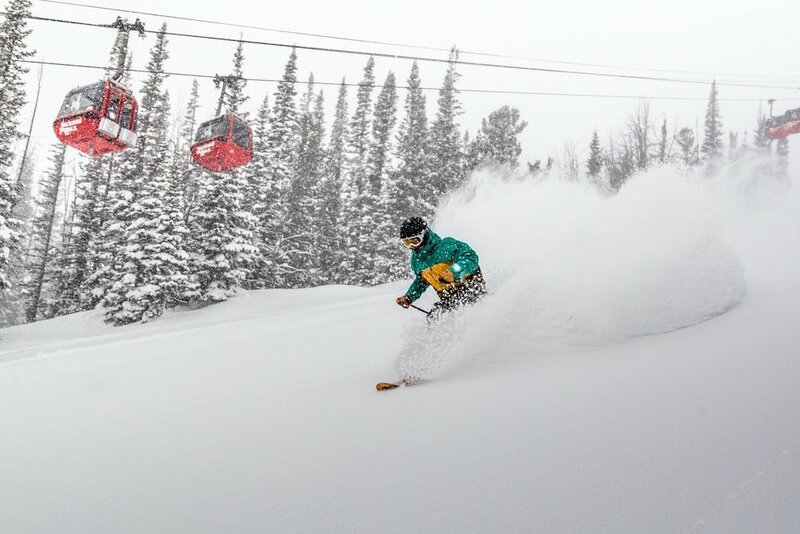 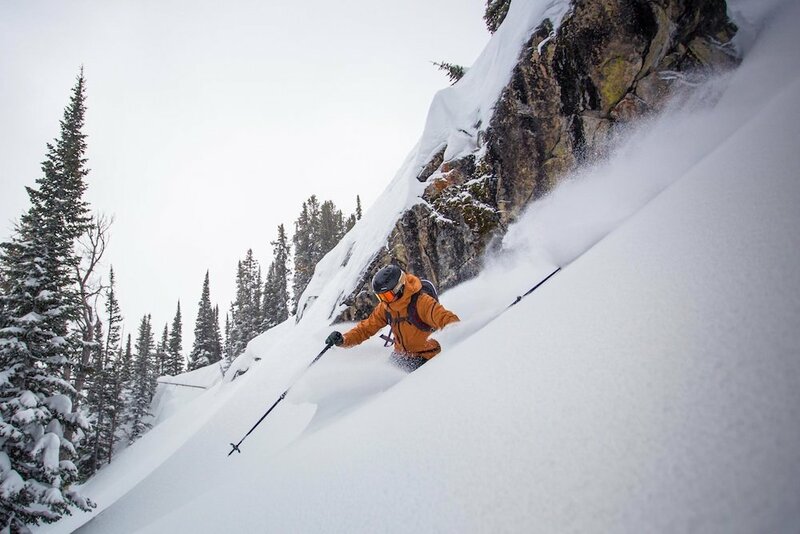 Catching powder face shots at Jackson Hole Mountain Resort pre-MLK weekend 2016. 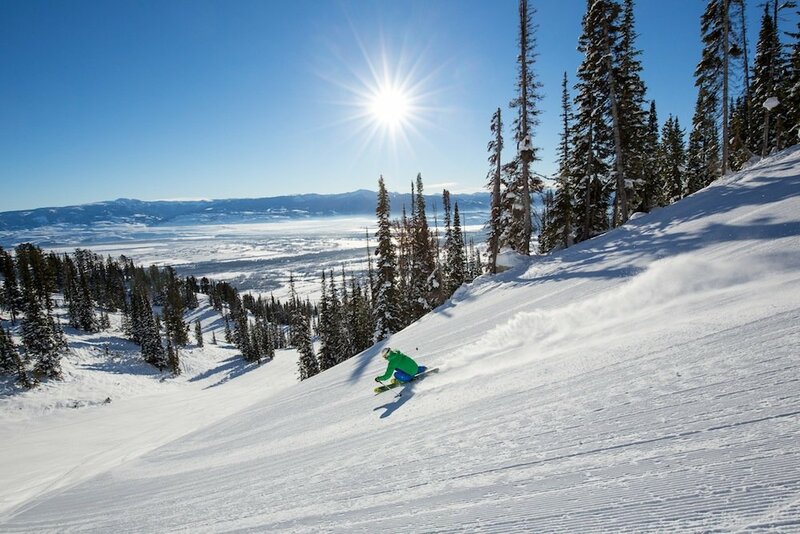 A sunny break leading up to MLK weekend at Jackson Hole Mountain Resort. 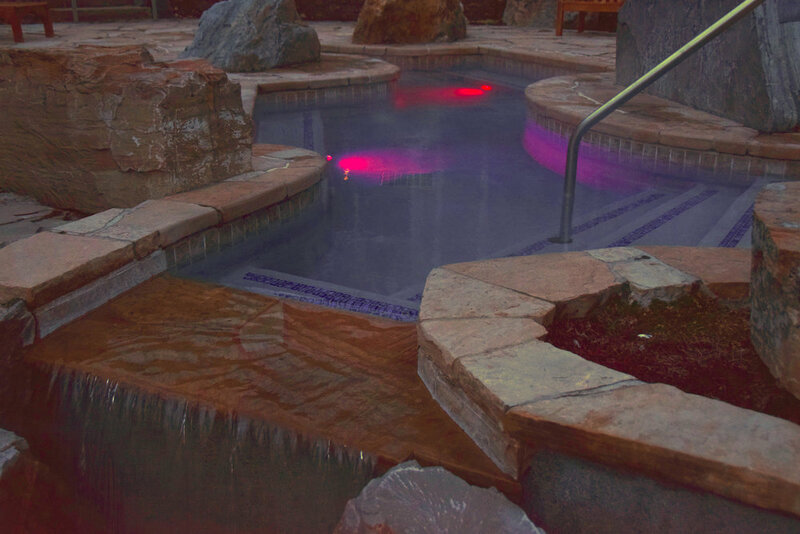 Four seasons has slopeside pools for soaking. 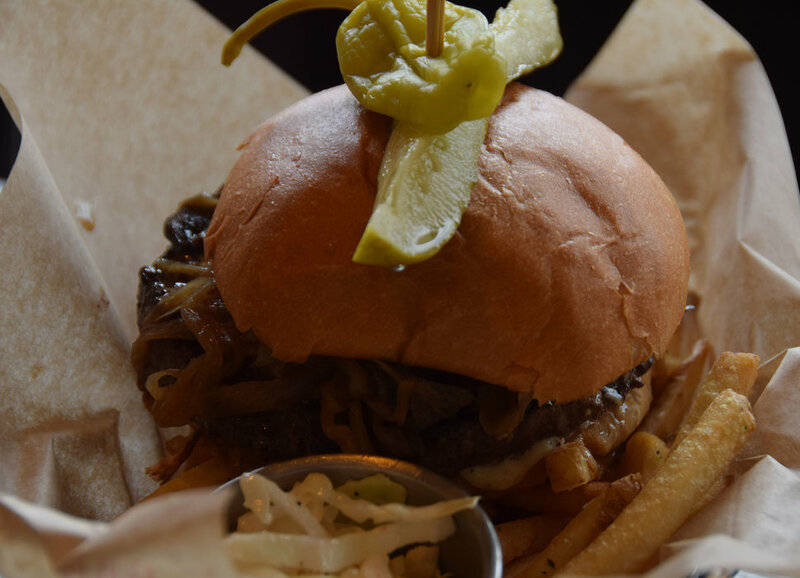 The Handle Bar burger stacks up with caramelized onions and mushrooms. 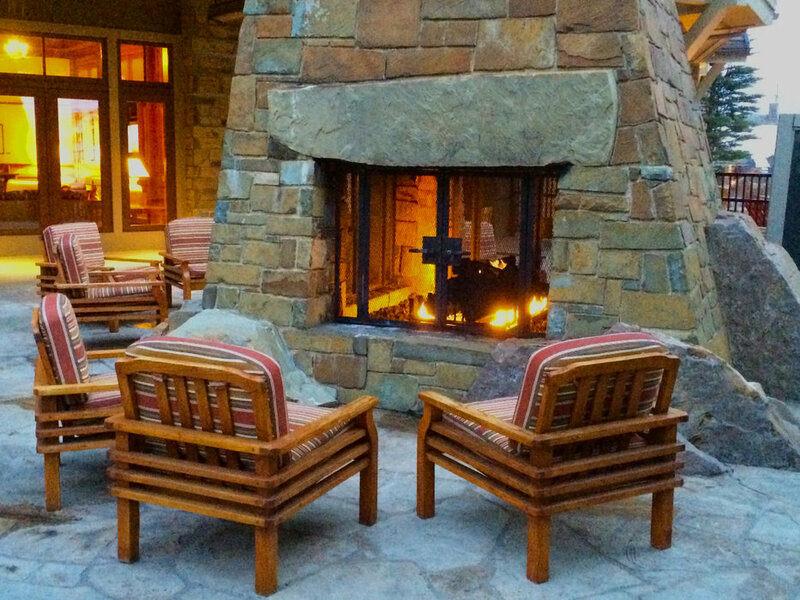 Outdoor firepits and cozy fire nooks line the slope side of Four Seasons. 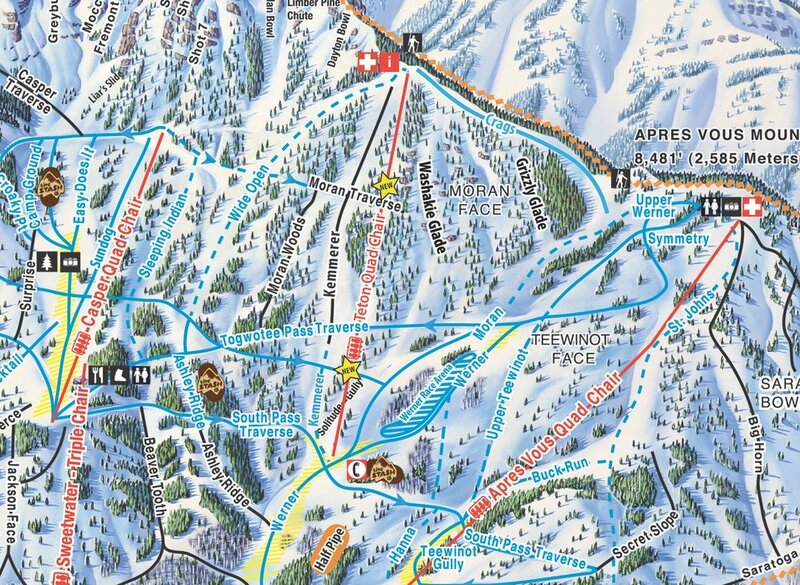 Trail map close up of new Teton Lift at Jackson Hole Mountain Resort. 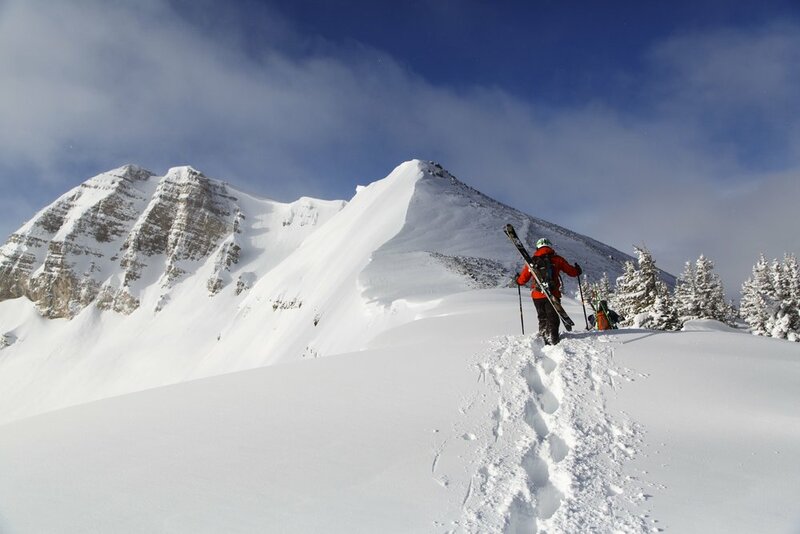 Backcountry skiing in the Tetons surrounding Jackson Hole Mountain Resort. 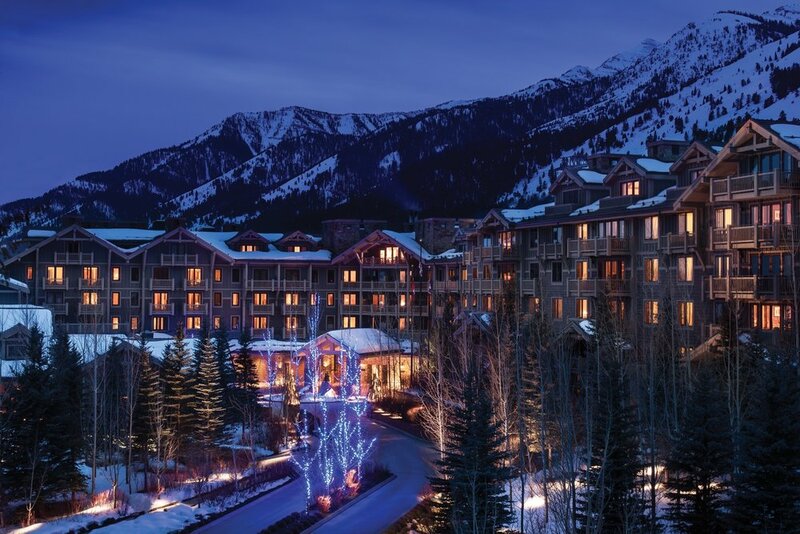 Located slopeside, Four Seasons at Jackson Hole lights up at night.